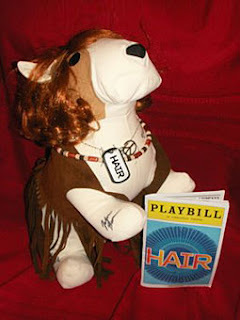 At this year's Broadway Barks, which will be held on July11, they are auctioning off Autographed Hounds of Broadway. 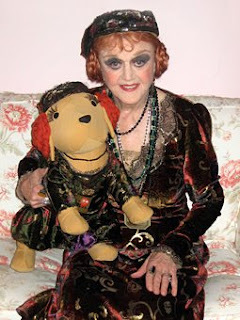 From the press release: Authographed Hounds of Broadway are one-of-a-kind stuffed dogs that are signed by the casts (and in some cases, decorated by the wardrobe departments) of some of Broadway's hottest shows are auctioned to raise money for the Picasso Veterinary Fund of the Mayor's Alliance for NYC's Animals. Just check out the samples from the pictures above! I'm really amused with the Madame Barkati one. For more photos of the stuffed hounds from other shows, please click on the link above.